We, Maitri, are a leading firm engaged in manufacturing and supplying of excellent quality of Indian salwar kameez and embroidered salwar kameez which have huge demand among Indian woman across the globe. 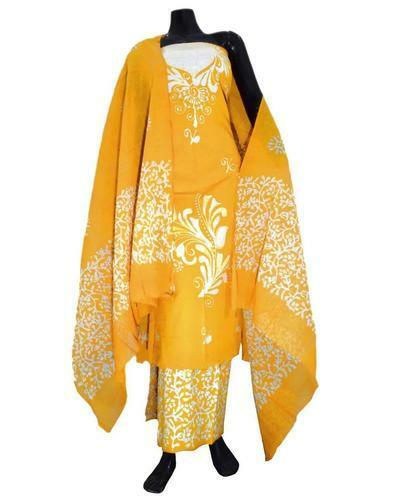 We are widely appreciated for our various category of salwar suits like Fashion Salwar Kameez,Casual Salwar Kameez,Georgette Salwar Kameez,Traditional Salwar Kameez,Indian Salwar Kameez,Ethnic Salwar Kameez,Embroidered Salwar Kameez, Cotton Salwar Kameez,Designer Salwar Kameez. We are providing our clients an enchanting range of Salwar Kameez .These Designer Kameez adds an extra glow and charm to the personality of the wearers. Our range is highly appreciated across the market due to its features like unique finish, variable colors and designs. We make use of premium Quality cotton as the raw material.